BinaryOptionsNow – Less than a month after CySEC (Cyprus Securities and Exchange Commission) announced the inclusion of binary options in the list of regulated instruments, SpotOption has become the first company to apply for and receive the license to offer regulated binary trading to its customers. Since SpotOption is a software and technology provider of binary trading platforms, it is expected that quite a few of its clients will soon follow suit and obtain the license too. Ever since CySEC brought binary options under the purview of regulations, there has been some sort of a disruption in the previously unregulated market. Financial companies who wish to continue offering binary options trading services to their clients now compulsorily have to obtain a license from CySEC failing which they will be barred from offering this innovative trading facility. SpotOption was one of the earliest companies to recognize the need for regulation in what was then an unregulated, albeit exciting market. By working in collaboration with CySEC, SpotOption led the process to classify binary options as financial instruments under existing laws which paved the way for the regulation and licensing requirements to come into force. The founder of SpotOption, Pini Peter has expressed pride in the role SpotOption has played in pioneering efforts to safeguard investors’ wealth and offer a high quality and safe platform to investment firms for use with binary options trading. 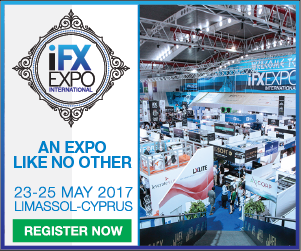 By announcing the completion of license requirements, SpotOption have become the first and only CySEC Binary Options Market Maker. This allows SpotOption to offer investment services as licensed financial institution to their clients in addition to providing the trading platform as a software and technology company. By obtaining the status of a regulated market maker, SpotOption has become a Cyprus Investment Firm (CIF) which allows it to collaborate with other companies to offer binary options trading services under their own license. This means that these companies don’t necessarily have to worry about the binary options regulation to start offering trading services in collaboration with SpotOption. 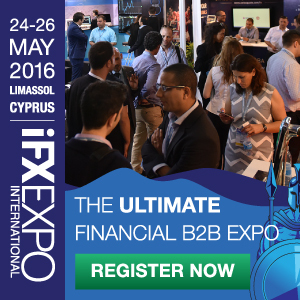 SpotOption will be present at the IFX Expo in Cyprus later this week to provide additional details about the regulatory and licensing requirements for investment firms interested in offering binary options trading services to their clients. Online binary options trading is a relatively new trading facility that lets traders buy options to buy or sell their favored financial instruments like stocks, forex, commodities, etc. Unlike regular trading, traders don’t have to worry about the amount of change in the instrument’s price. They just have to correctly determine which direction the instrument price will move in to make a profit. Different service providers provide a few variations of binary options trading but the basic concept remains the same. The ease of operation and lower complexity compared to regular trading combined with the high rates of returns have resulted in a meteoric rise in the popularity of binary options. Following by the approval of binary options trading by the Options Clearing Corporation (OCC) and the Securities and Exchange Commission (SEC), SpotOption was established in 2008. SpotOption leveraged the expertise of financial and technology experts to create one of the most user friendly and advanced platforms for binary options trading. SpotOption has been in the business of providing a White Label binary options trading platform that can be rebranded by other businesses to offer binary options trading services. This saves the financial companies from having to spend time effort and money on developing their own binary options trading platform from scratch. The binary options trading platform provided by SpotOption is actively being used by over 70 financial institutions to offer binary options trading services to their clients. These institutions include leading names like Banc De Binary, CitiTrader, TradeRush and many others. CySEC (Cyprus Securities and Exchange Commission) is a public corporate body based in Cyprus responsible for supervising and regulating trading activities of financial institutions and individuals. It is also responsible for granting operational licenses to various types of financial companies like investment firms, brokerage firms, brokers and investment consultants. Regulation of the financial trading markets provides significant protection to investors and traders from scams or financial irregularities. The rules and guidelines oblige brokerage and investment firms to conduct their operations to satisfy the minimum set criteria which safeguard the investors’ money.